It’s just too hot and humid this summer for comfort. In spite of the heat, there are still chores to do. To make it easier on me, I schedule most of what I have to do outside for the early morning hours, just barely before the sun wakes up, and do the rest as late into the evening as possible. In the hottest part of the day, I head to the house for inside chores. Some days, there isn’t much to do, so I splurge a little with a cold glass of lemonade or iced tea and a good book. 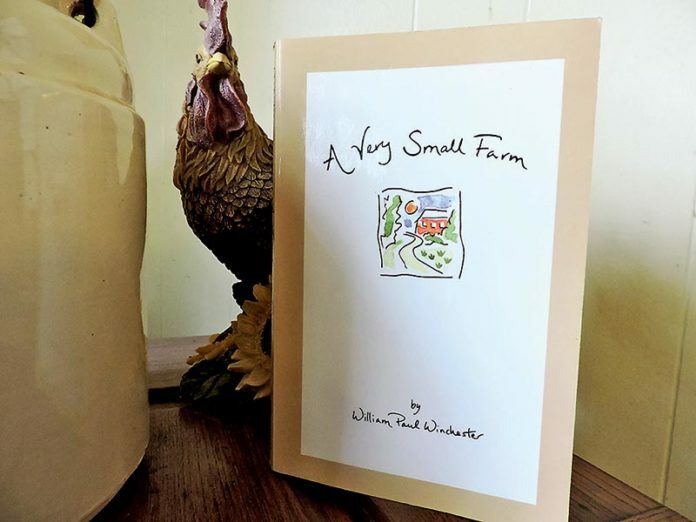 One of my favorites is “A Very Small Farm” written by William Paul Winchester. This is primarily a diary of sorts that tell of Winchester’s decision as a young man in college to live on a farm in Oklahoma. It chronicles his experiences from figuring out what he wanted and needed on his farm, to designing and building the house and outbuildings. Throughout the book, you can see the care he takes with every square inch of his farm. He tells of the joys of owning a milk cow, caring for bees, raising chickens and establishing a garden and orchard. His meticulous planning and implementation of each step is happily balanced with time spent reading and enjoying life from his hammock. In spite of holding a degree in Botany from the University of Tulsa, Winchester makes his primary living off of the farm. With honey from his bees being his main source of on-farm income, he supplements that with substitute teaching, being a caretaker for a small church and doing odd jobs for the neighbors. If you have ever dreamed of having your own farm one day, or even if you just enjoy seeing how ‘the other half lives’, this is definitely a book you will want to read. It is so enjoyable, I have read it several times, and find myself looking forward to the extreme heat of this summer to read it again! * Walden – by Henry David Thoreau is another great book that everyone should read!